This beaded necklace has tube shaped carnelian and round Mexican Laguna Lace Agate beads. The color combination compliments each other very well. 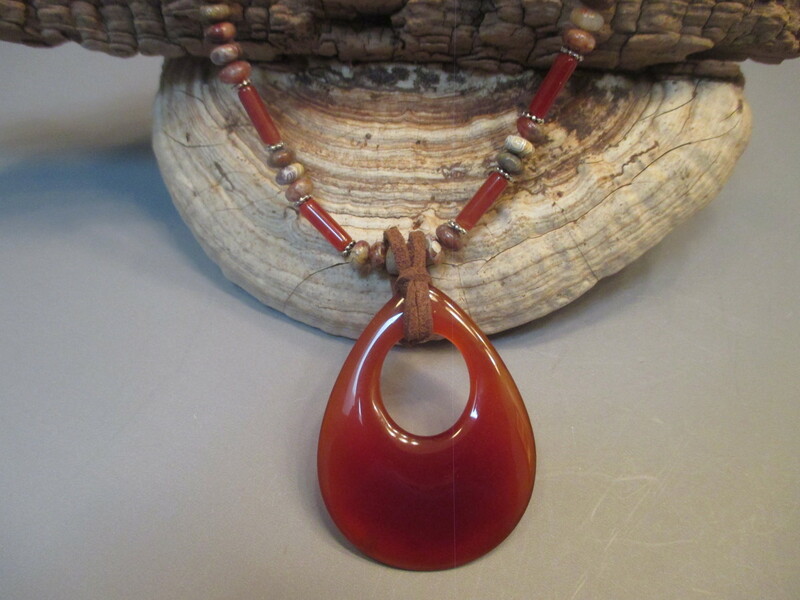 The pendant is a large tear drop Carnelian focal bead. The pendant measures about 2 3/4" x 1 3/4". I have made a "bail " of dark brown faux leather . The necklace measures about 19" long with a ring clasp. Matching earrings are included( not pictured).